The Board Add-in for Microsoft PowerPoint allows integrating in your MS-PowerPoint presentations, Board objects such as DataView, Charts, Cockpits, Bubble Charts, which dynamically retrieve data from a Board database. Microsoft Office 2013, 32-bit and 64-bit editions. After having installed the Board PowerPoint Add-in, open Microsoft PowerPoint. 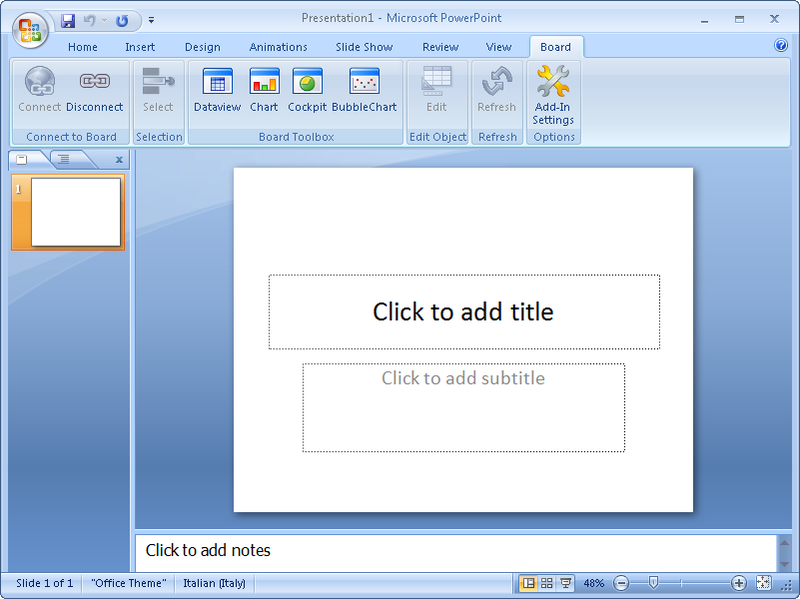 The following picture shows Microsoft PowerPoint 2007 with the Board PowerPoint Add-In tab. A Board tab with features and functions to add and configure Board some of the objects (Dataview, Chart, Cockpit, Bubble chart), is added along side the other standard tabs of PowerPoint. In the following paragraphs, the features of the Board add-in are explained. In the above picture we can see the Board Ribbon, it is divided into six sections each allowing to configure or set a set of features. Connect to Board : allows to connect to a Board Server or disconnect from the Board Server. Selection: allows to set or modify the Selection criteria for the Board objects. Board Toolbox: allows to insert and configure a Board object to a slide of the PowerPoint presentation. Edit Object: allows to modify a Board object present on the slide. Refresh: refreshes the data represented in the Board objects. Options: allows to configure the settings for connecting to a Board Server as well as setting other options for the Board add-in. Click the connect icon to connect to a Board Server. 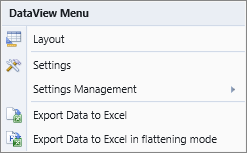 The first step to start working with the Board Add-in for Excel is to connect to a Board Server and log-on. The connection to the Board Server is as in the Board Client. Refer to the page Board Client Options for details on how to configure the connection parameters in case it hasn't been configured by the Board administrator. When the connection is established, the icon changes and allows disconnecting from the server. Presentation Selection: applies to all Board objects of the presentation. Layout selection: applies to the individual object where it is defined and it is nested within the presentation selection if one exists. For details on the use of the Selection function, refer to What is the Select function and the subsequent pages. resize the Board object as desired then press OK to insert the object onto the slide. When pressing the OK button, an image of the object is captured and is inserted on the slide. While the object configuration window is open, it is possible to access the context menu by right-clicking on the object. The menu options which are available for each object type are the same options available in the Board Client environment. The following illustration shows the context menu for the DataView object. For details on the configuration properties of the objects, refer to the object's documentation in Chapter 7 - Capsules (DataView, Chart, Cockpit, Bubble Chart). Allows to configure or modify a Board object: select the Board object to configure or modify by clicking on the object, then click the Edit button. Make the desired changes then press OK con apply the changes and close the configuration window. While an object is in edit mode, it is possible to perform drill-down or data-entry if the object supports it. 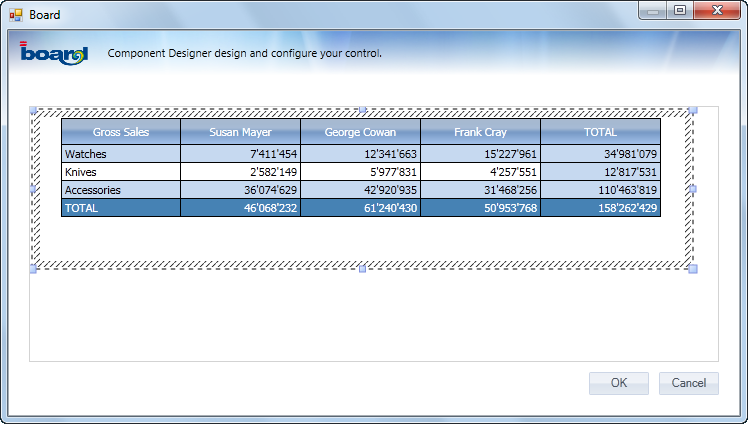 This function re-runs all Layouts of the presentation, refreshing the data contained in the Board objects. This icon opens the configuration panel for the Board Add-in. This configuration is normally done one time only after the first installation of the program. 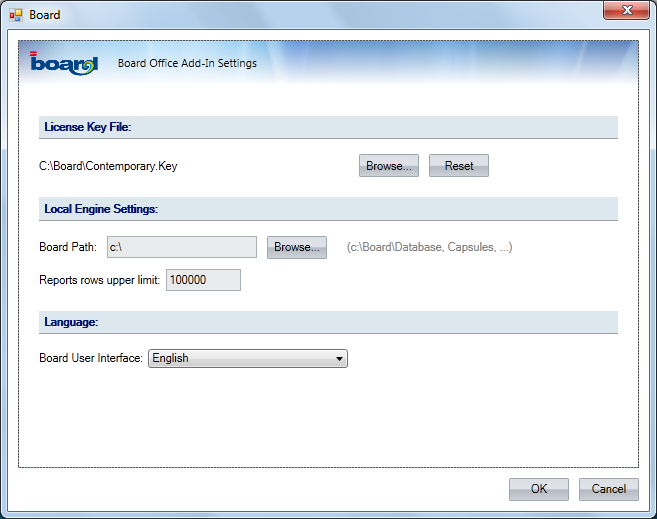 If required, select the Board license file to enable the Board engine to run locally. Only a license of type Stand-alone can be selected here. This setting can be ignored if you do not work on databases stored on the computer's local hard disk drive. These settings can be ignored if you do not work on databases stored on the computer's local hard disk drive. Board Path : Location of the Board directory which contains databases and capsules. Reports row upper limit: sets the maximum number of rows for a report. The purpose of this threshold is to avoid executing very large reports (runaway queries). Allows to set the user interface language for the Board add-in: select the desired language from the drop-down list.